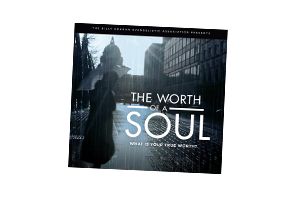 Each church, organisation and household is offered 1 free DVD of each film and we will send at no cost to you. 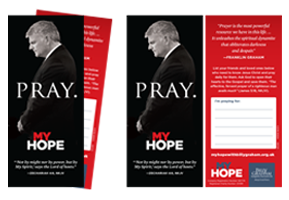 If you would like to order additional DVDs, copies of Prayer Cards, the discipleship book Living in Christ, Posters, Invitations or the Support Guide, you will notice a small charge to cover our costs. Postage and packaging costs are added at Checkout, based on your total order. 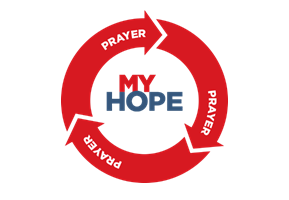 Franklin Graham once said “Prayer is the most powerful resource we have in this life. 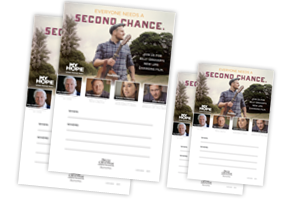 It unleashes the spiritual dynamite that obliterates darkness and despair.” Prayer Cards have space for the names of five people to pray for daily. 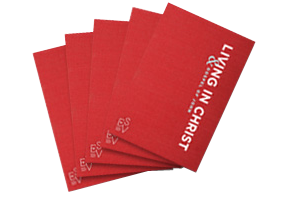 Living in Christ is a four-session Bible Study for new believers. 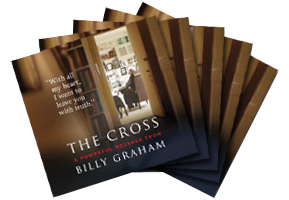 A great resource to help people starting to follow Jesus as Lord and Saviour, with a letter from Billy Graham and the Gospel of John. 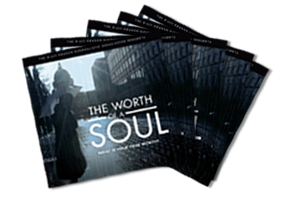 1 x A3 and 2 x A4 printed The Worth of a Soul official posters delivered direct to your door. With space to add venues, times, dates and details of food or other activities that you might offer before My Hope films. 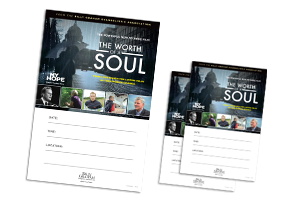 50 x A6 printed The Worth of a Soul invitation cards delivered direct to your door. With space to personalise with details of venue, time, date and food or other activities that you might offer before My Hope films. 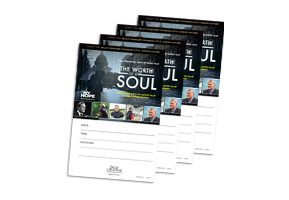 This helpful 12 page guide suggests ways to share your testimony, give evangelistic appeals, engage your church in prayer and evangelism, prepare a response team, follow up those who’ve watched the film, and gives different examples of how the films have been shown. 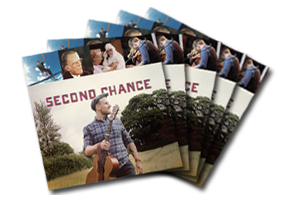 2 x A3 and 2 x A4 printed Second Chance official posters delivered direct to your door. With space to add venues, times, dates and details of food or other activities that you might offer before My Hope films. 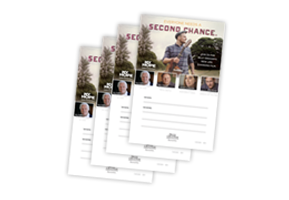 50 x A6 printed Second Chance official invitations delivered direct to your door. With space to personalise with details of venue, time, date and food or other activities that you might offer before My Hope films. 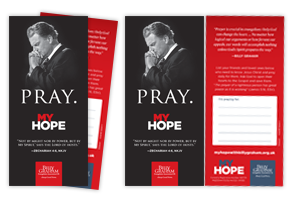 Billy Graham once said “We must repent of our prayerlessness and make prayer our priority.” Prayer Cards have space for the names of five people to pray for daily. The free resources have been made possible by the generous support of others. Could you make a donation today to help us encourage and equip the local Church to proclaim the good news of Jesus Christ? © 2019 Billy Graham Evangelistic Association BGEA UK is a registered charity (233381) and an incorporated company registered by guarantee in England and Wales (567778).